[from left] Pari Forood, Executive Director of Miles of Hope Breast Cancer Foundation and Linda McNeil Tantawi, CEO of Komen Greater NYC handing out medals to members of the Poughkeepsie High School Crew team. 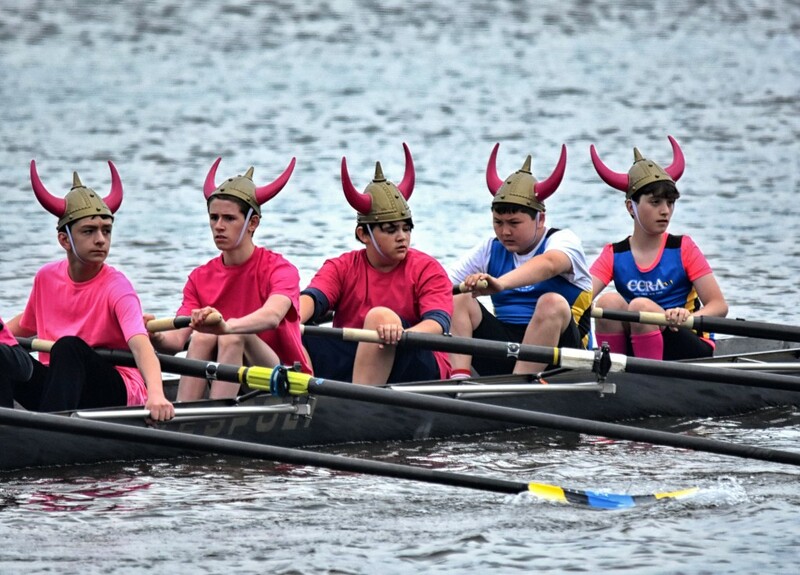 On Sunday, June 3, Wappingers Crew Club held their eleventh Row for the Cure at the HRRA boathouse in Poughkeepsie. The regatta had 124 entries representing 16 crew clubs. Linda Tantawi, CEO of Komen Greater NYC was present to help hand out medals to winners as was Pari Forood, Executive Director of Miles of Hope Breast Cancer Foundation. Each year since 2015, Miles of Hope, which funds support services for people affected by breast cancer in the Hudson Valley, has received a grant from Komen Greater NYC. Although final accounting is not yet done, we expect that we have raised between $8,000 – $10,000 this year, bringing the total donations raised over the years to over $96,000. Our thanks to Wappingers Crew Club, Hudson River Rowing Association, the crew teams of the Hudson Valley Rowing League, and all of the other crew teams that help organize and participate in the regatta, without whom this would not have been a success. Special thanks to Row for the Cure – Poughkeepsie founders and regatta chairs – Bill and Nicole Rooney. Members of Cortlandt Community Rowing Association rowing out to the starting line.